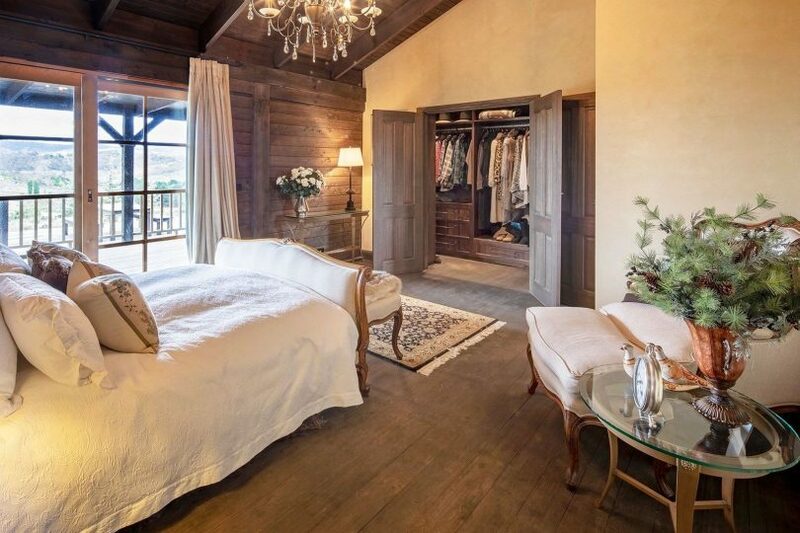 ‘Mountain High’ has been featured in ‘Country Home Ideas’ magazine as the “perfect Snowy Mountains retreat”. All photos supplied by Kosciusko First National Real Estate. 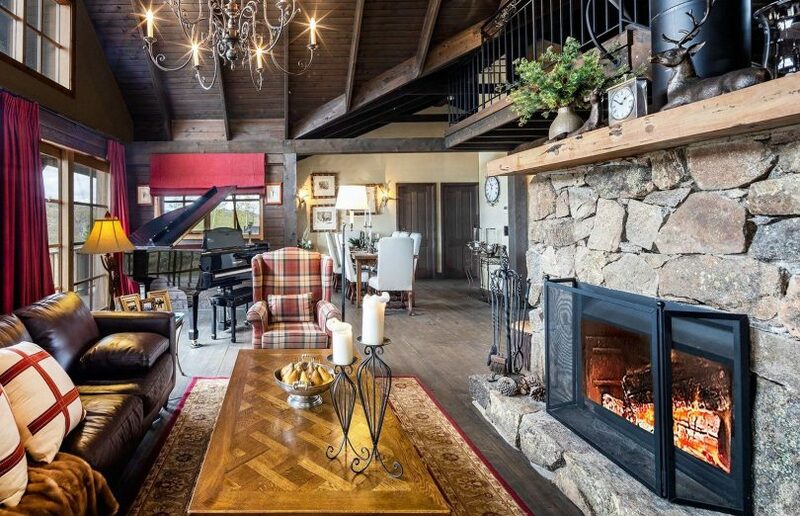 A luxury alpine retreat which recreates a North American style ski lodge is on the market in Jindabyne, about 30 minutes’ drive from the Thredbo and Perisher ski resorts. ‘Mountain High’ at 61 Carinya Lane sits on 37.18 hectares of land and has been featured in Country Home Ideas magazine as the “perfect Snowy Mountains retreat”. 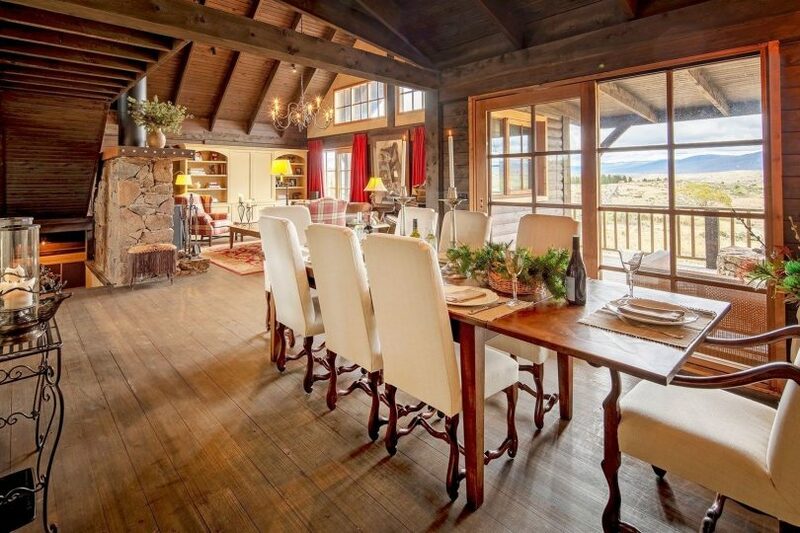 Billed as offering breathtaking views of snow-capped mountains in winter and being part of “a natural country paradise” for the rest of the year, the Jindabyne retreat combines the look of a log home with Australian design elements. The four-bedroom two-bathroom home was designed and created by the current owners – an interior designer and her husband. It features iconic designs and motifs found in prestigious homes in the American Rocky Mountains, with many of the inclusions sourced and transported from Aspen, Colorado. The property has a price guide of $1.5 million and includes a large farm shed, three dams, water tanks, and feeding/watering troughs. 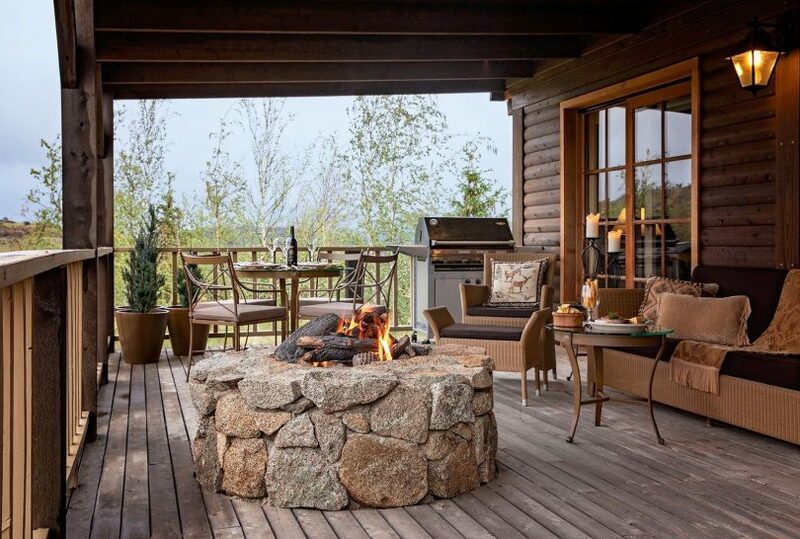 The home has two outdoor entertaining areas which both face the mountains, including an undercover one with a gas fire pit and one with an outdoor spa incorporated into a large timber deck. 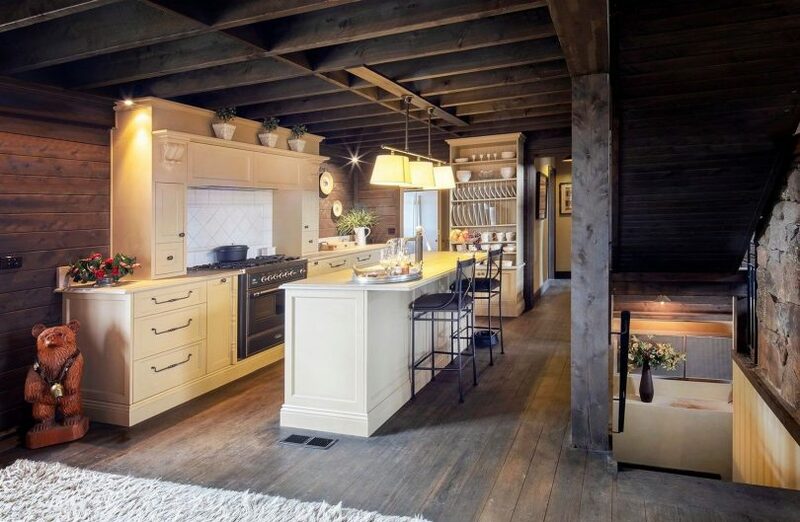 Special features inside the home include cathedral ceilings with exposed beams and a statement chandelier, hardwood floors, a granite fireplace and a hand-painted timber kitchen with stone bench tops and a butler’s pantry. 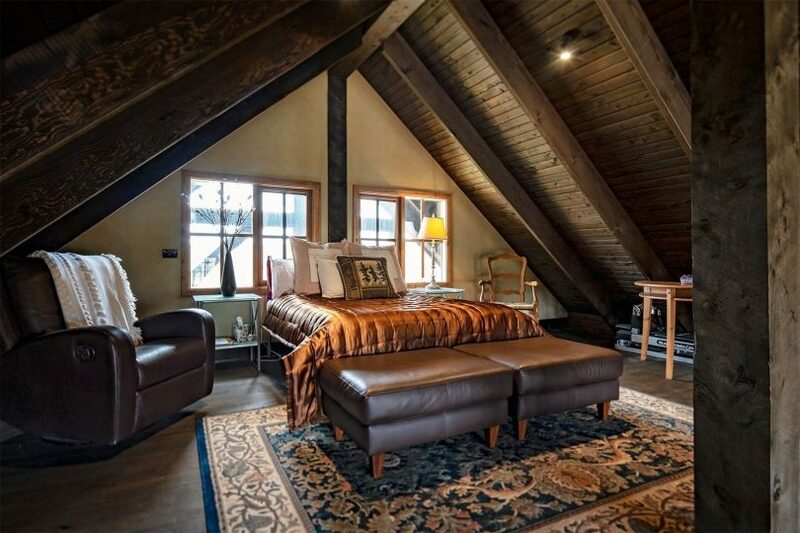 The master bedroom has a large custom built walk-in wardrobe and an ensuite with a free-standing bath. There is a separate wing with two double bedrooms (each with access to the verandahs) and a large loft area can be used as a fourth bedroom or a study. 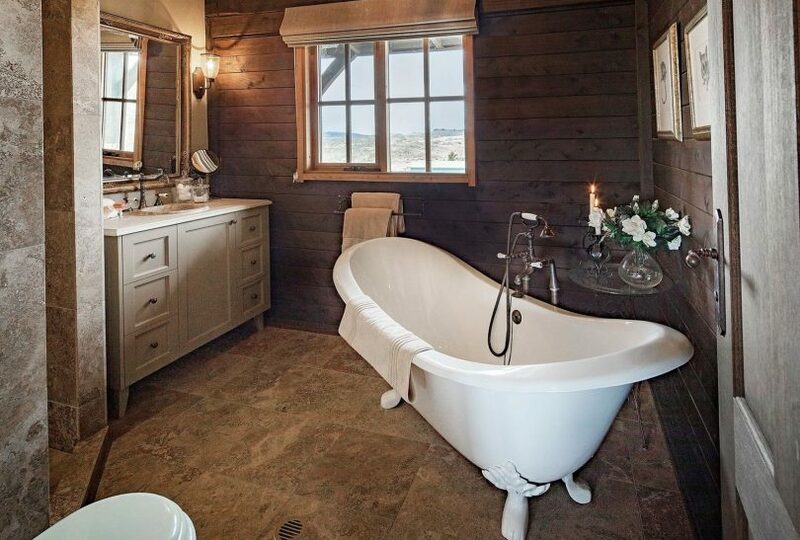 The main bathroom has a freestanding bath and a hand painted timber vanity with marble top and there is also a very large American-style basement recreation room. For more information or to arrange an inspection contact listing agent Gordon Jenkinson from Kosciusko First National Real Estate on 0427 100 915 or 6457 2000 or click here. Below is a video of the property produced by Wildman Film Productions and supplied by Kosciusko First National Real Estate.